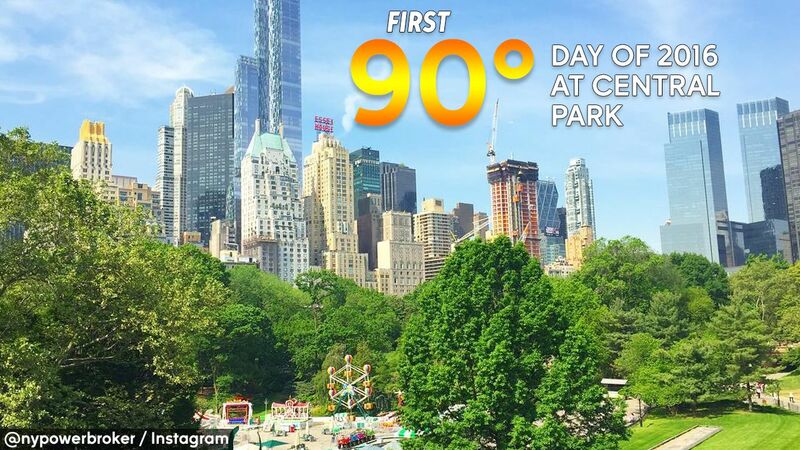 CENTRAL PARK, Manhattan (WABC) -- New York City hit 90 degrees for the first time in 2016 Thursday -- and it was a little earlier than last year. The last 90-degree day recorded at the park was September 9. Meteorologist Lee Goldberg said Thursday's temperature was 17 degrees above average. In 2015, the first 90-degree day was June 23.